Coming this summer a new book collaboration by Nicolas Carter and Sharon Thormahlen called Melodías del Arpa: Latin American Music for the Folk Harp including Guantanamera, El Condor Pasa, Luna Lllena, Tres de Mayo, La Paloma, Melodía Para Ti, Moliende Cafe, Palomita Guasiruca, Llegada, Mercedita and Recuerdos de Ypacarai. 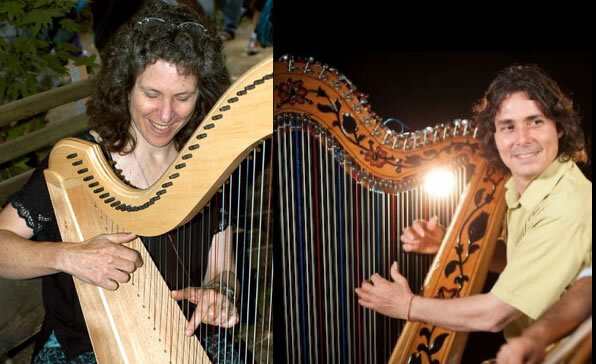 These tunes, arranged by Nicolas Carter have been further arranged and simplified by Sharon Thormahlen for the intermediate beginner harp player. The book blends the latin musical style with the Celtic harp. It will have a history and description of the tune and it's composer. Stay tuned for the cover drawing by Earl Newman.